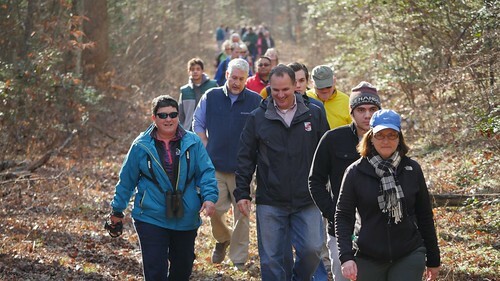 The Maryland Department of Natural Resources invites everyone to welcome in the New Year with a First Day Hike! Maryland Park Service rangers, staff and volunteers will lead more than 30 hikes on public lands and state parks New Year’s Day, as part of a nationwide event sponsored by America’s State Parks. 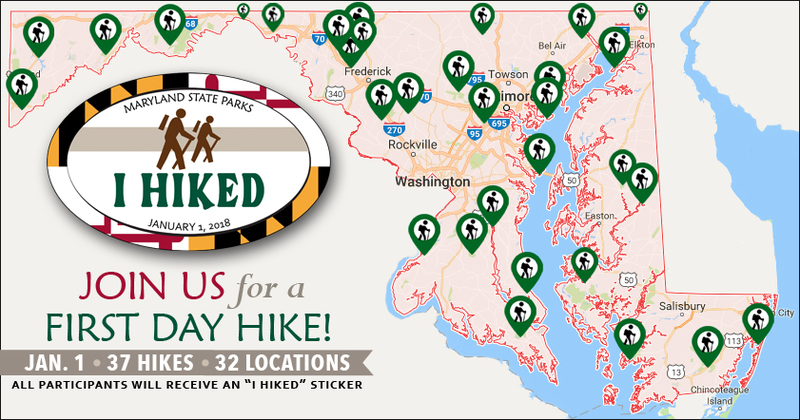 These hikes will provide a wide array of outdoor adventures and experiences for every level of hiker and walker, providing unique access to Maryland’s cultural, historical and natural resources and treasures. Some are even pet-friendly! Numerous state forests and wildlife management areas will also be open Jan. 1 for self-guided treks. In 2017, more than 2,000 First Day Hikers logged more than 4,000 miles statewide.